JACKSON, Tenn. — It wasn’t your typical day in circuit court for ten inmates at the Madison County Criminal Justice Complex. There wasn’t a dry eye in Judge Don Allen’s court room Friday morning as ten women graduated from “Celebrate Recovery: Life’s Healing Choices” class. 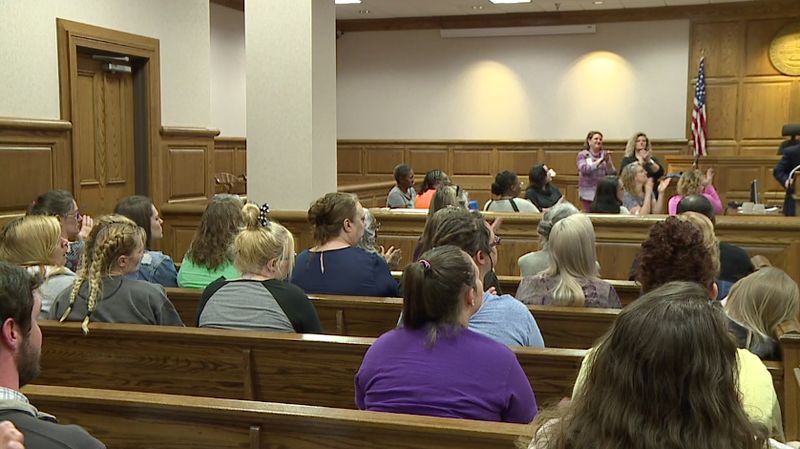 “For them to come up and to actually witness these ladies explaining how this program has affected them, how it’s changed their lives, how it’s given them a new purpose and a new meaning, it’s very emotional,” said Madison County Circuit Court Judge Don Allen. The women in the program say they now have the steps to succeed once they are released. “Unfortunately, a lot of these ladies are here in jail for some period of time, so we want to give them the tools they need so that once they get released they can hopefully go out and make better decisions not only for themselves, but for their family, their children, and so forth,” Allen said. Among the graduates was Jennifer Schuerenberg, who says the program helped her figure out her priorities. “It’s helped me straighten out and realize what’s important to me, and my kids are the most important things to me,” Schuerenberg said. Scherenburg’s kids are proud of their mom. “I can’t even describe it, there’s no words,” Schuerenberg said. “It feels great!” Schuerenberg’s son said. Judge Allen says there is also a low recidivism rate for the people who graduate from the program.